Just finished Paul Cooke`s `Judas?` and i must say thoroughly enjoyed the book from start to finish, really is an eye opener at times and sheds light on his much talked about move across the Humber as well as some of his personal issues! Also highlights just how smart of a bloke you have to be to play half back at the top. I knew this to an extent but Cooke talks about analyzing every players weaknesses inside out before a game and monitoring them throughout a game (Watching the amount of time it takes them to get back in the line on minute 20 compared to minute 1, watching if there calls for the ball in possession changes as time goes on etc). Highly recommend the book for anyone that has not read it. Just wondering if anyone has any recommendations as to what to read next? I have read Kears and enjoyed that. Give Stanley Gene's book 'Daydream Believer' a go. I've always liked "Talent Is Not Enough" by Danny Buderus. Few good RL books out! Can get a real insight to the struggles, lifestyle and inner workings of a club! I've read Kear's and Terry Newton's. Both interesting reads for Wakey fans. 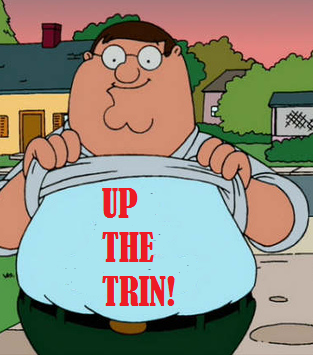 Kear's and Neil Fox's are a great read for Trin fans. Jim Mills's is a good read.